Newchapel Junction is a modular layout which may be set up with or without a single line branch which diverges from the mainline circuit and leads to a terminus station. For detailed views of the track layouts see the Track Plans page. The main layout comprises a large GWR terminus station, loco yard and goods yard, which is connected to a double track mainline circuit via a triangular junction. The terminus station, Newchapel Junction, has 4 platforms which accommodate trains of up to 8 coaches. Engines from trains arriving at the main station proceed to the loco yard via a semi-automatic turntable before either going on shed and being replaced by a fresh engine or returning to their trains for the next outbound movement. A goods loop around the back of the station permits freight trains of up to 25 wagons to be looped clear of the main line and propelled into the goods yard reception road. Between the arriving and departing trains, there is shunting of empty coaching stock to and from the carriage sidings, together with many light engine movements in the station throat, recreating the typical movements at a busy station of its day. The main running circuit includes a small SR station, Newchapel Town, which is located between two of the junctions forming the triangle. 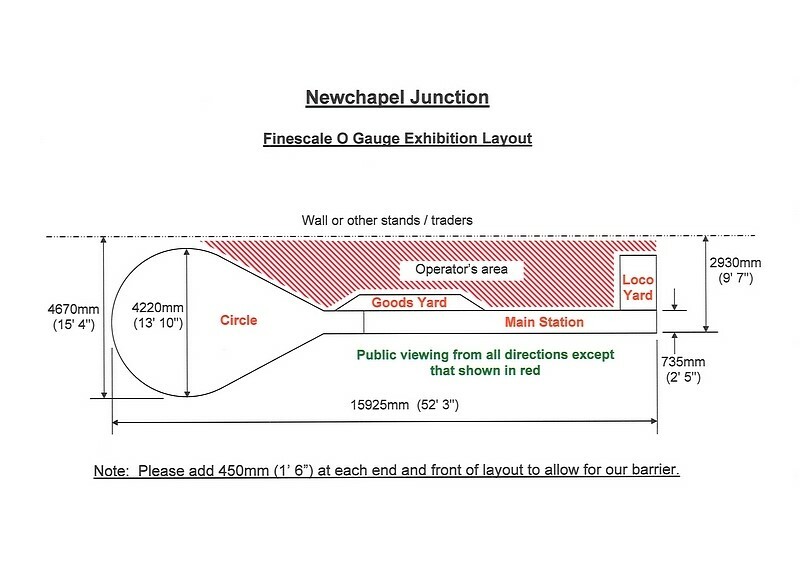 There is a connection from the main running loop to the large goods yard between Newchapel Town and Newchapel Junction where continuous shunting of incoming and outgoing freight trains takes place. The busy sequence of passenger and freight train movements between the operators at the Newchapel Junction and Newchapel Town are controlled by train-describer block instruments and working semaphore signals which are illuminated. The signalling and points are interlocked using relay circuitry controlled from push button and switch panels at the mainline circuit end, and Newchapel Junction station is controlled via an entrance-exit route setting panel and relay interlocking. 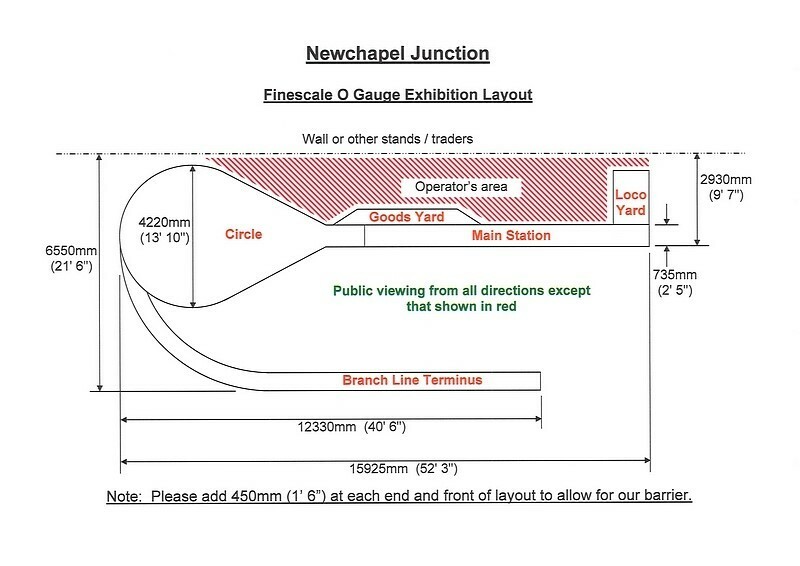 When the layout is operated with the branch line terminus attached, additional passenger and freight trains operate to and from Newchapel Junction and are slotted in between trains on the mainline circuit. Movements on the single line section are controlled by block instruments and bell codes together with working semaphore signals operated from a mechanically interlocked lever frame. The branch line terminus station, Sidport Regis, represents a typical Southern Railway station serving a small seaside town which is enjoying a growth in holiday traffic. Whilst the pace of life here is less frantic than on the rest of the layout, there is a frequent service of local passenger and freight trains together with the occasional excursion.